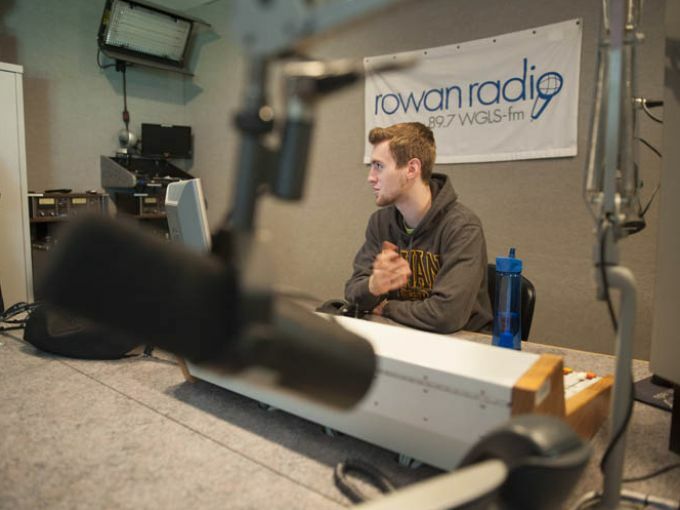 GLASSBORO - His first time live on Rowan Radio, Ricky Schuh — then a freshman — was terrified. More than 1.3 million potential listeners in a 30-mile radius of the Glassboro college were about to hear his voice — stammers and all. "I was terrible. It was awful," the 21-year-old Mount Holly native, now a junior, recalled. In spite of his rough start, he stuck it out, building his on-air personality and falling in love with the on-campus station. "You just keep coming back, learning more," he said Friday, relaxing inside one of the station's small studios, editing an interview set to air later that afternoon. "There was a lot to pick up. I've grown, my skills have grown. I've got it now." 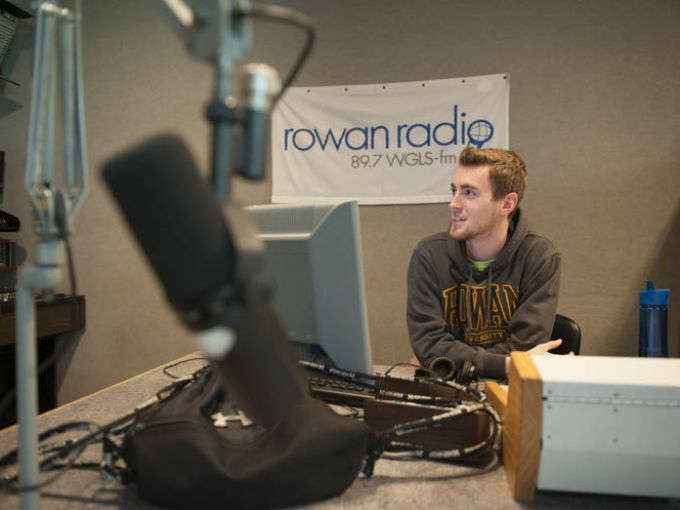 Since Rowan Radio went on air in 1964, thousands of students have survived broadcasting firsts. 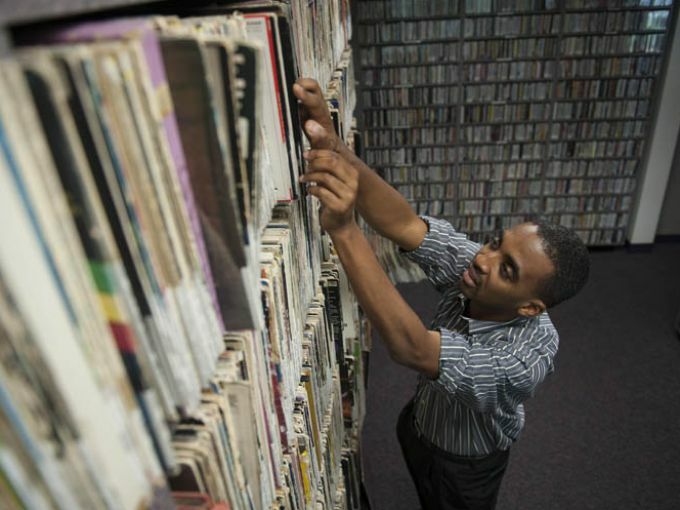 The station — 89.7 WGLS-FM — has been a university staple for 50 years, living up to its motto — "The music that matters" — and launching careers. It will celebrate its half-century anniversary with a gala Oct. 25. 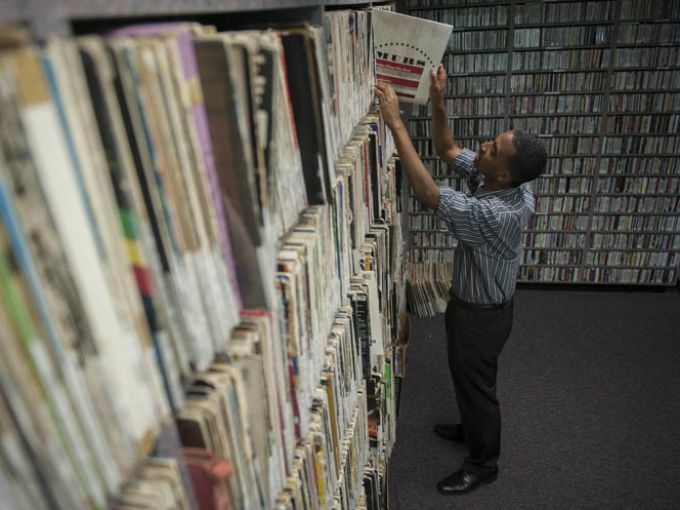 The small station inside Bozorth Hall is home to a music collection of more than 3,000 LPs, 5,000 CDs and more than 10,000 songs stored digitally. Between 15,000 and 20,000 people consistently listen every 15 minutes in South Jersey, and parts of Delaware and Pennsylvania. That doesn't count the online streaming broadcast listeners, according to assistant station manager and professor Leo Kirschner. "Its role is to help train students, also to serve as a campus information source," said Dr. Gregory Potter, a full-time college faculty member in 1969 during the station's early years, when men wore ties to class and women's hair did "the flip." Overseeing broadcast engineering issues at the station was his first job with what was then Glassboro State College. In the summer of '69, Potter worked with students to rewire the station that "needed some help." Potter, who retired in 2010, is among several with Rowan Radio ties who will be honored at the anniversary gala. The student-run station reported on the Vietnam War, the Kent State massacre and the Glassboro campus' own series of wartime student protests. Today, students continue in-depth radio reports. "Heroin High," a 2012 student-produced documentary on teenage heroin use, won six broadcasting awards. "The station is very good at mirroring what you get when you go out into the real world," Kirschner said. 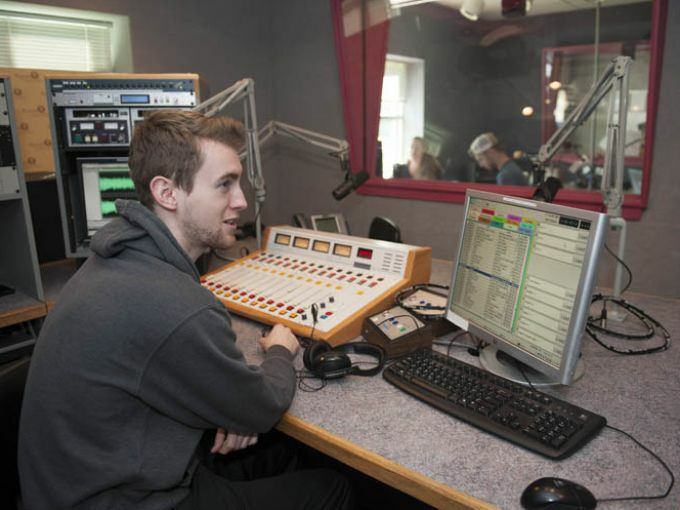 Radio majors graduate with a "tool kit" — experience with the newest broadcast technology, a portfolio of on-air and production work, and work experience in the Philadelphia broadcasting area, a Top 10 market. "There's a matrix there that spans over generations that's benefited almost anyone who went to that school," said John Sadak, a 2000 graduate and Rowan Radio alum. Sadak is a sportscaster with Westwood One Radio, ESPN, and a New York Yankees AAA baseball affiliate. 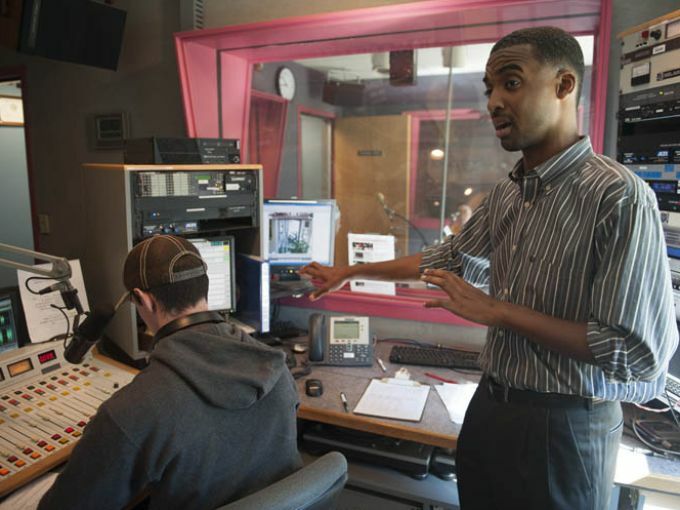 "My career started through Rowan Radio people," he said, noting the station's network of graduates who provide job leads for student broadcasters. 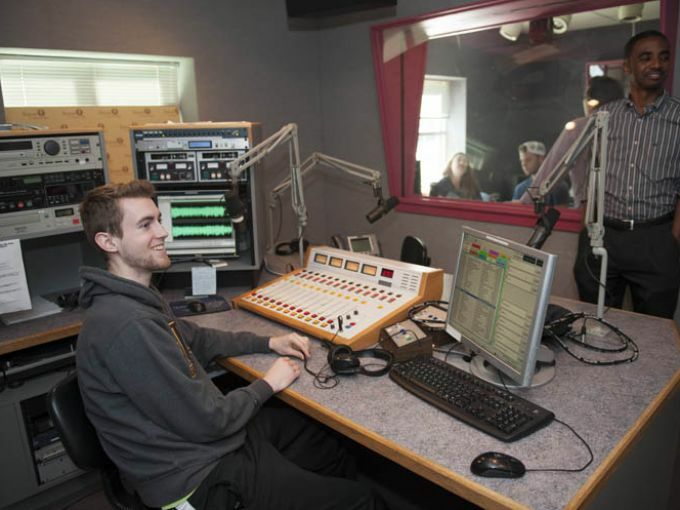 A year and a half from graduation, Schuh hopes to land a radio job out of college. "I've definitely found what I want to do." Reach Carly Q. Romalino at (856) 486-2476 and cromalino@courierpostonline.com. Follow @CarlyQRomalino on Twitter. 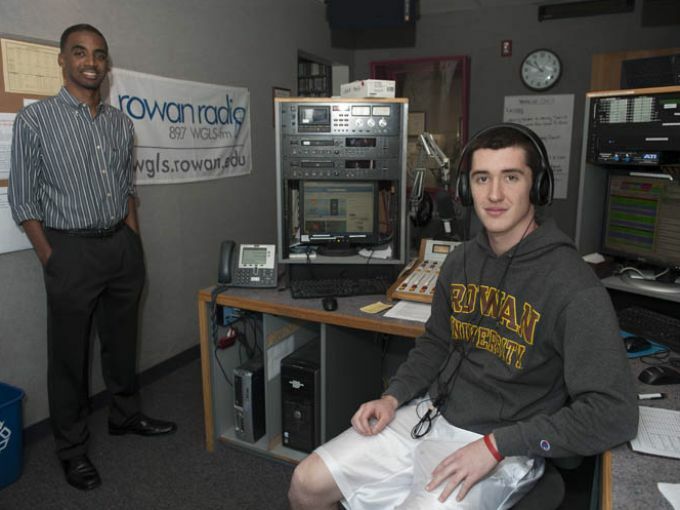 Rowan Radio's 50th Anniversary Celebration will be held at 4 p.m. on Oct. 25 in Enyon Ballroom inside the Mark Chamberlain Student Center at Rowan's Glassboro campus. Tickets are $50. For more information call (856) 256-5400 or email alumni@rowan.edu.